VPN services are everywhere these days, from the small providers to the large corporations. Searching for a VPN service can be a confusing and time-consuming task and with so much choice it is difficult to know where to start. No one wants to pay for a VPN service that underperforms, is slow or just downright unreliable. So we’ve done the hard work for you, below are 5 VPN services you really should know about. They range from the large to the small but they all have one thing in common and that is a fast and reliable VPN service who are worthy of your hard earned cash. 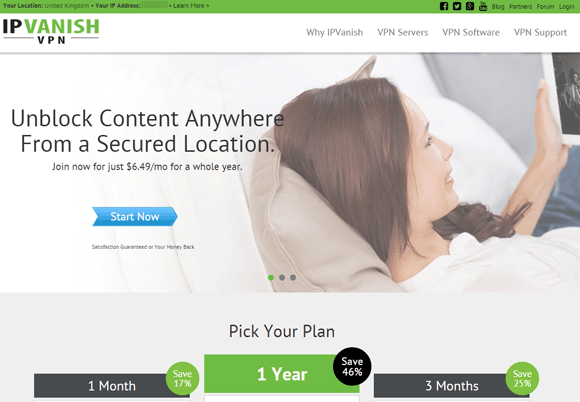 IPVanish is the only true Tier-1 VPN network in the world making them one the fastest owned and operated VPN services available to the public. Due to the favourable speeds achieved across their entire network it makes them ideal for those who wish to stream content abroad especially services such as BBC iPlayer, Sky Go, HBO Now, Netflix and more. One area where they really excel is HD content while some lesser providers struggle to offer the speeds needed for such high bandwidth streams, IPVanish regularly delivers quality HD content without issue. With over 170 locations worldwide and servers in over 60 different countries, they are one of the largest providers based on locations alone. For travellers this makes IPVanish an ideal service especially if you plan to visit a few different locations. Having a local server in your home or a neighbouring country either when travelling or even when you’re in your home country makes all the difference speed wise and can be the difference between an enjoyable VPN experience and a dismal one. Users who don’t mind setting up configuration files will find all the requirements they need on the IPVanish website but for those who want ease of use the helpful Windows and Mac software takes out any of the headache of set up. Phone and Tablet users are also well covered as IPVanish have apps for Android and iOS allowing the iPhone and iPad to get online and connected via a VPN connection with ease. 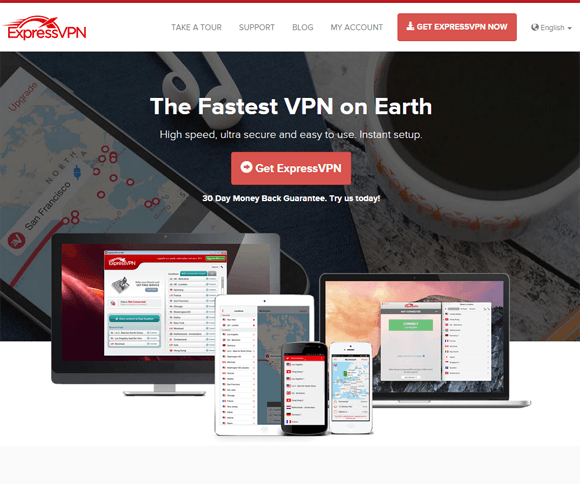 ExpressVPN is another customer facing VPN company who pride themselves on ease of use. In fact they’re so confident you’ll love their service that they offer a full 30 day money back guarantee. Another VPN service that truly spans the globe with connection points in over 97 different locations with an enormous 78 countries covered. Connection is made easy with custom software for all the major systems from Windows to Mac and mobile devices like iOS and Android. ExpressVPN offers unlimited bandwidth and the ability to switch between servers without restriction. Users are able to connect simultaneously on one computer system and one mobile device allowing you the freedom to be protected and access content while at home and on the move. If you get stuck then their 24 hour per day customer service accessible by email or live chat will be there to sort you out. 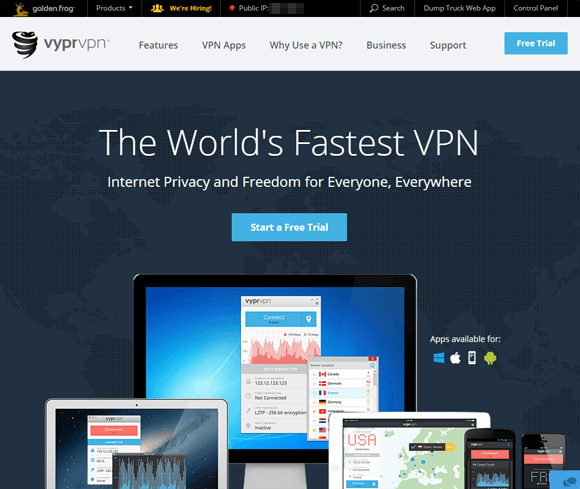 VyprVPN is one of the most reliable and consistent VPN services on the market. Over the years they’ve proven themselves to offer a service great for general use. One area in which they are head and shoulders above the rest is innovation. Chameleon is a proprietary technology deployed by VyprVPN to circumvent repressive internet regimes. In countries such as Iran and China authorities regularly probe internet connections to reveal those who are using VPN services and attempt to block them to stop citizens accessing restricted websites. Chameleon technology offers an advanced way of obfuscating a VPN connection to bypass such restrictions. VyprVPN pride themselves on owning and operating all aspects of their network making them a good choice for those who are privacy orientated. Like other providers, they are dedicated to the expert and novice alike with extremely attractive and easy to use software and apps across the range of devices. LiquidVPN is a smaller but unique VPN provider. As well as providing a fast and reliable network with a compact selection of servers they offer some interesting additions that the bigger companies don’t. IP Modulation is a method exclusively offered by LiquidVPN that alternates your IP Address for each object accessed. As an example, if you visited a website each element from images, text and video would be accessed by a different IP Address giving a completely mixed and spaghetti-like result. This unique offering makes privacy an almost guarantee because anyone trying to piece together who accessed what will face difficulty. 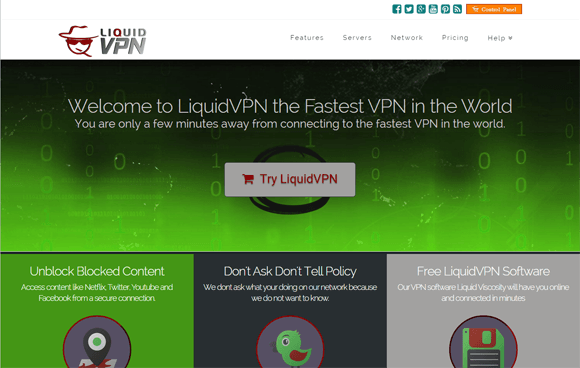 LiquidVPN is a traffic logless provider meaning they do not store or record what you get up to on their network. For those wanting to use Torrents or use services like Popcorn Time it makes them an ideal solution. A regular list of DMCA requests is published in their Transparency Guide reaffirming their commitment to keeping you safe, secure and as anonymous as possible from their end. LiquidVPN is also one of few VPN providers that offer a warrant canary. If you’re big on online privacy then you will want to be assured that the VPN service you use hasn’t been required by a court order or subpoena to spy on you for government purposes. The warrant canary is a way of warning you in the unlikely case that LiquidVPN are required by law to carry out such a covert action. VPN.ac like LiquidVPN are one of the better privacy centric VPN services. If you take privacy seriously then an excellent choice would be to take a look at VPN.ac. They are an unassuming VPN service provider due to their lack of advertising and limited marketing. VPN.ac pride themselves on the fact that their service does the talking and no flashy slogans or glossy adverts are required to sell the service. VPN.ac started off offering only a handful of locations but in recent months they’ve added some more connection points. 15 countries around the world in strategic locations aim to keep you secure. On our regular VPN speed tests VPN.ac consistently feature in the upper half of the speed tables and using their service personally find them reliable for both speed and long term connection periods. Surprisingly the prices for accounts of over 1 month are actually extremely cheap and for a company that takes privacy as seriously as these guys it is a worthwhile investment that isn’t going to break the bank. If you’re a techie these are certainly the company to look towards and even if you aren’t they offer Windows, Mac and Android software with an easy to connect feature that makes the process simple for beginners. It would be good if you actually tried these services before recommending them. Some of them are actually not reliable. I have tried vpn.ac myself and I have found it dropping out frequently. The 5 services listed are actually the 5 I use personally and alternate between. One of which I use regularly is VPN.ac and I’ve never had a disconnection issue. Did you contact VPN.ac about the issue as they might of ben able to resolve it.